Here took place the last encounter of the daring French invasion of 1798. 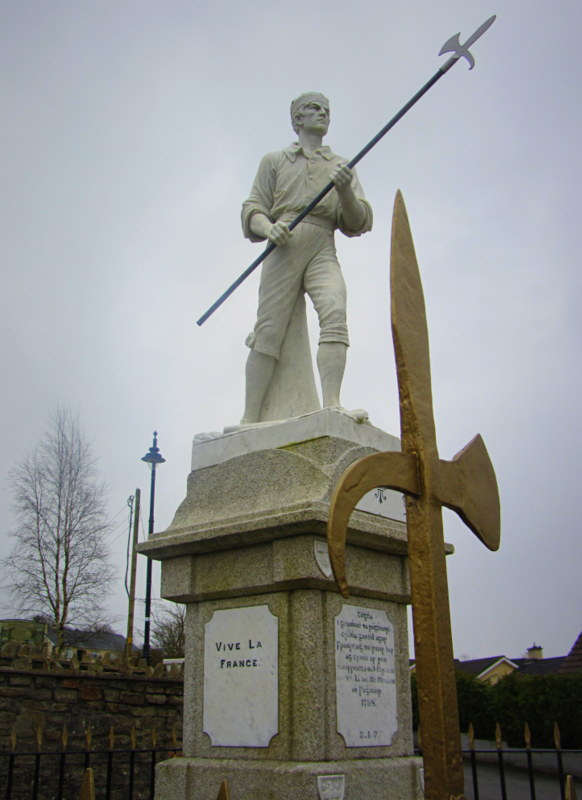 General Humbert, having marched the 160 miles from Castlebar through counties Sligo and Leitrum to Ballinamuck, with his small force of French troops and untrained insurgents, was forced to turn and accept battle with superior British forces under Lord Cornwallis. He drew up his line on the lower slopes of Shanmullagh, overlooking Ballinamuck. The French surrendered after a brief engagement, but the Irish fought with desperate bravery, and no quarter was shown to them. The battle is commemorated by a statue near the village. Billinamuck is a real hidden gem that is worth a visit on your Ireland tours.